Christmas held a lot of surprise gifts for me! You've already caught the Neato Vacuum cleaner, Rosie. 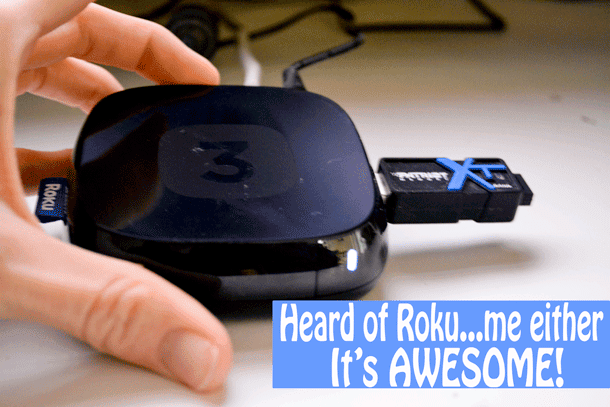 Well meet Roku 3 Streaming Media Player! To aid with our budget while Ben is away and because I am now a SAHM (giving up a 6 figure salary and LOVING every minute of it! ), I cut our Satellite TV: frankly it was $60+ a month (sometimes more because of the NFL package), which equates to over $720 - $900+ a year on TV... which is just ridiculous! So, I found a way to save over $600 a year by changing our entertainment options! Once I cut out Satellite, I bought an RCA ANT1450BF Multi-Directional Amplified Digital Flat Antenna (Black) for around $30. With this I'm able to get CBS, NBC, ABC, PBS and 13 other channels (we live in the sticks). But the RCA Antenna was all we really needed! And frankly, it's nice to actually sit and watch a show at the time it actually airs. AND I am really impressed with the quality of kids programs on PBS: Wild Kratts, Word Girl, The Odd Squad etc., Just quality, clean and educational TV! CBS, ABC, NBC, ESPN etc (network TV) require you to have an account with a local cable provider to be able to stream shows through the Roku 3 Streaming Media Player. Welp, fine, I have an Antenna, I can get it anyway (except ESPN which I don't watch anyway, but Ben will eventually want some sports, I'm sure he'll find a way or channel on the Roku). 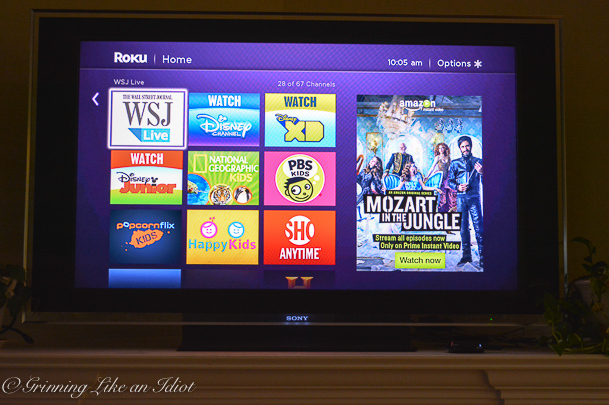 With Roku you can view videos on YouTube: another way to search and view virtually anything you want. PBS Kids is channel available on theRoku 3 Streaming Media Player and you can watch old shows and clips! Curious George, Cat in the Hat, Wild Kratts, Odd Squad, etc. 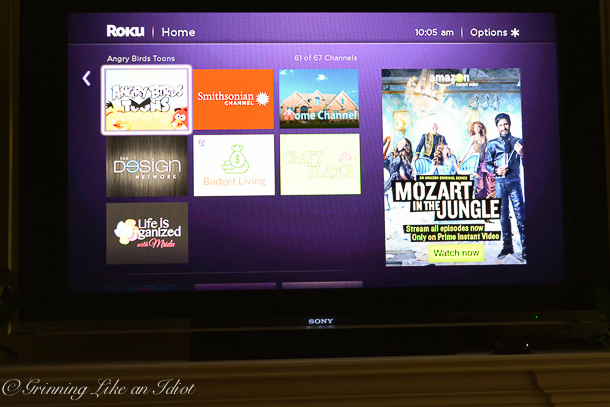 There is an amazingly HUGE array of channels you can add on the Roku! For instance, I added "Life is Organized", "Craft Klatch", "The Design Network" and several more. What is your favorite show to watch? Join our discussion on Facebook and Twitter. Note: this is an unsolicited review, meaning I wasn't given this product as a gift to write about, but it is something I wrote about on my own accord and all opinions are mine. This post does contain an affiliate link with Amazon so if you decide to purchase one through my links above I will receive a form of compensation for my referral to Amazon. I'll be glad to know that my opinion and experience influenced my readers and many thanks for reading!!! Friday Funny: I love random funnies! Friday Funny: You Think You're Cold!